Can Chris Christie Get His ‘Mojo’ Back? It looks like New Jersey is losing patience with its troubled governor. Chris Christie would dearly love to get his mojo back—his carefully crafted image as a swaggering, no-nonsense New Jersey tough guy. 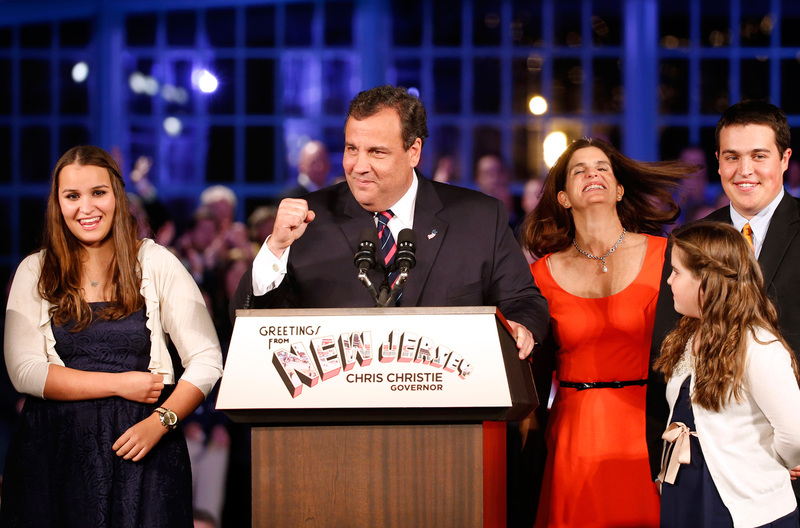 Since the eruption of Bridgegate, the Hoboken Sandy aid controversy and the nested scandals around the Port Authority of New York and New Jersey and its self-dealing chairman, David Samson, however, Christie has not been his old self. When he travels, for instance, he stays out of the limelight and avoids the press, even while raising millions of dollars for the Republican Governors Association (RGA) behind the scenes. Since the marathon, nearly two-hour news conference on January 9, held to defend himself in the Bridgegate crisis, Christie has not spoken to the media—a period of more than nine weeks and counting. During his latest foray for the RGA, to Georgia last week, he was almost invisible. Though he was scheduled to have appeared at a fundraiser for Governor Nathan Deal and then speak at a forum organized by the neoconservative American Enterprise Institute, his trip garnered zero press, either in Georgia newspapers or in the increasingly skeptical New Jersey media. CNN, based in Atlanta, confirmed Christie’s trip, but had no details of what he said, what he did or what happened. And CNN added, “Christie will go to the American Enterprise Institute’s World Forum in Sea Island.” The forum is a regular AEI event, but there’s not a word about Christie’s appearance on the AEI website. The Republican Governors Association had nothing to say about Christie’s excursion to Georgia either. None of the activists was able to ask a question.… While Christie fielded questions from a group of parents upset about a Burlington County charter school being closed and a woman who asked why the governor didn’t use federal funds to promote health care available to New Jersey residents, he managed to go without calling on the dozens of affordable housing advocates, environmentalists and union-backed New Jersey Working Families Alliance supporters in the room. Still, the fact that protesters and anti-Christie activists, along with ordinary citizens who aren’t Christie acolytes, have begun showing up in large numbers at the governor’s town halls is a significant change from the first such meeting this year, after Bridgegate, when Christie went unchallenged at a town hall event in Port Monmouth. But when Christie traveled to a town hall in Mount Laurel, a town that gave him 65 percent of its vote last year but has shown it is willing to vote Democratic, his warm welcome went cold, at least for a few minutes. Half a dozen hecklers interrupted questions, shouting at Christie for hiring “crooks” and “liars” and for what they say has been the unfair distribution of Superstorm Sandy aid. The crowd, which also featured two groups of silent protesters holding signs against fracking, booed when the hecklers shouted and cheered when they were escorted away. That may embolden other groups to raise their voices at future town halls, Murray said. Christie is scheduled to appear next week in South River, where he won re-election by a much slimmer margin—58 percent—than he did in the locations for the previous four town halls. “He’s getting close to Democratic territory now,” Murray said. On Tuesday, Christie will make his 114th appearance at a town hall event in South River, New Jersey, and Christie Watch will be there to provide a full report.